When thinking about how to make activities fun in order to make building more challenging skills exciting, I thought back to teaching my “Colors” unit in kindergarten. The students loved experimenting and learning how different colors are made. I started using food coloring in My Obstacle Course station activities with Andrew and got to see the same look of wonder and joy as he saw firsthand what happens when two colors blend together. So easy and so fun!! These are all pretty straight forward station activities. 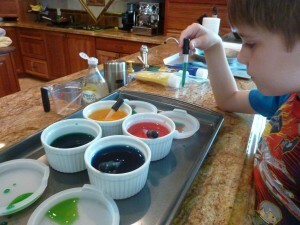 Click here for a food coloring post search from my website but these photos give a good idea of how we have used food coloring to add some color to station activities aimed at building hand muscles and muscle control. 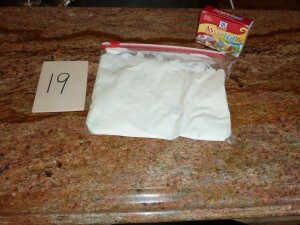 Frosting in a Ziploc bag with food coloring added. 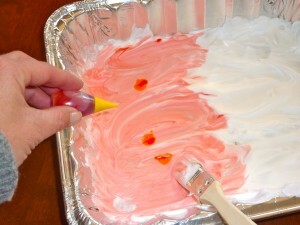 He had to squeeze and press out the frosting so the color would spread. 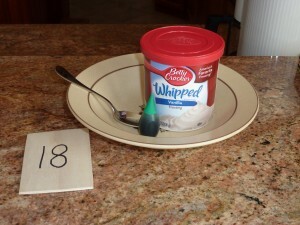 Making green frosting for March themed My Obstacle Course. 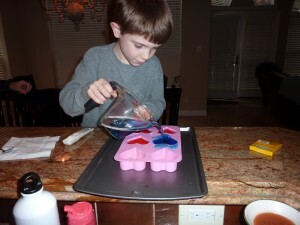 Working on pouring skills using colored water and heart-shaped muffin pans for February themed course. 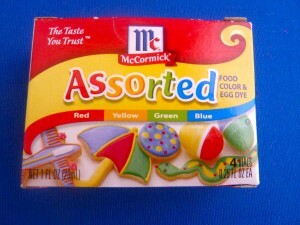 These are just some ways we have used food coloring in My Obstacle Courses to make them a bit more fun. Such an easy add in that helps to motivate and inspire experimentation. Have fun! !